Set of professional cooking utensils in stainless steel 18/10°. 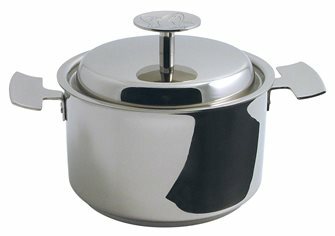 Cooking pots, stew pots and saucepans with polished sating interior and exterior. Triple thickness thermo-distribution base that offers excellent conductivity, cold tubular handles in stainless steel 18/10°. 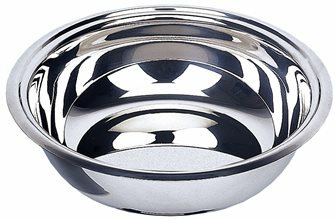 Stainless steel utensils are commonly used in professional kitchens as well as in homes because they are easy to clean offer impeccable hygiene. 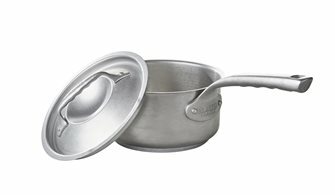 Large sizes of cooking pots up to 155 litres, induction. 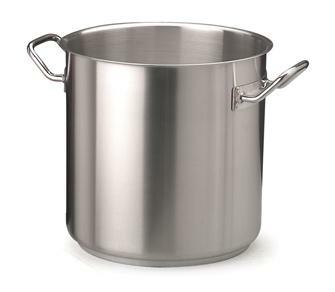 Saucepan stainless steel 20 cm with lid. Nostalgy stainless steel saucepan with patinated finish. Handle in cast stainless steel riveted. All heat sources including induction. French manufacturing De Buyer. 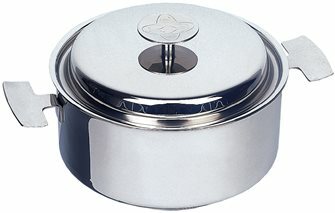 24 cm stainless steel casserole with lid. Nostalgy stainless steel casserole with patinated finish. Riveted stainless steel handles. All heat sources including induction. French manufacturing De Buyer. 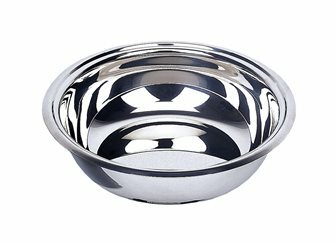 Professional catering cooking pot in stainless steel, heat diffusion base, 60 cm in diameter, 155 litres. 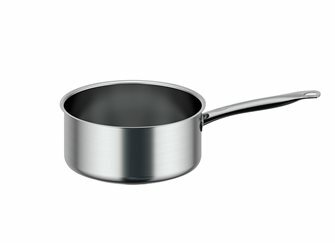 Saucepan in stainless steel 18/10 pro 14 cm, triple bottom diffuser induction, 1 liter capacity. 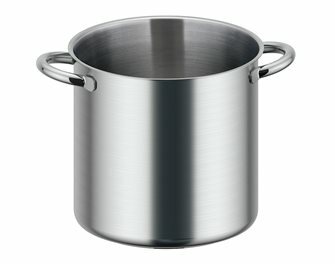 Saucepan stainless steel 18/10 pro 28 cm with counter-handle, triple induction diffuser bottom, 8 liters capacity. 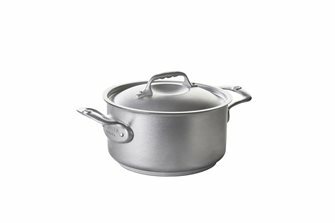 18/10 pro 20 cm stainless steel cooking pot, triple induction diffuser bottom, 6.2 liters capacity. 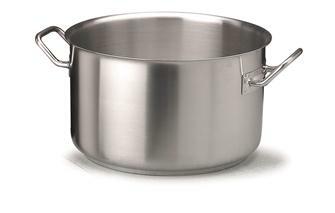 Pro stainless steel stewpot for induction hobs, heat diffusion base, diameter 50 cm, 58 litres. 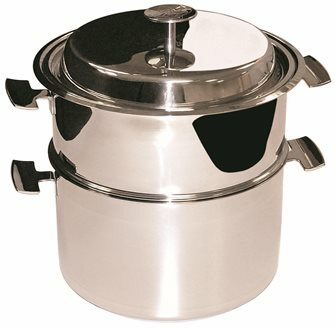 Stainless steel pot 18/10 pro 28 cm, triple bottom induction diffuser, 17 liters capacity. 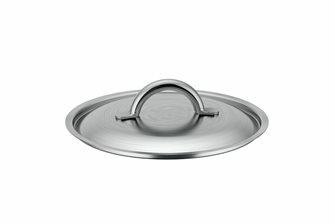 18 cm stainless steel saucepan with lid. Nostalgy stainless steel saucepan with patinated finish. Handle in cast stainless steel riveted. All heat sources including induction. French manufacturing De Buyer. 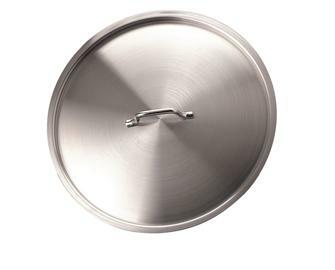 Professional lid in stainless steel measuring 28 cm in diameter. 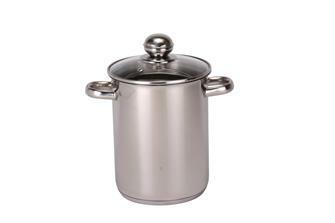 Stainless steel saucepan 18/10 pro 24 cm, induction diffuser triple bottom, 4.9 liters capacity.